This event was another one that I was photographing for the second time. Last years Keewaytinook Okimakanak Graduation Ceremony took place at the Italian Hall and it was a very intimate yet fun event. However, this time around, I was amazed not only at how many more graduates there were but all the family that attended as well. Whenever I photograph graduations such as this, it's really not that difficult capturing special moments because everyone in attendance is just so happy to be there. This was my second year in a row photographing probably one of my favourite events of the year - the Institute for Canadian Citizenship Ceremony at Fort William Historical Park. For those of you who don't about this organization or event, I encourage to you head on over to their website where you can learn a lot more. It has actually been quite a while since I got out and photographed a concert so I was excited when The Walleye asked me to cover the Finger Eleven and I Mother Earth Concert at Crocks in Thunder Bay. Having only seen I Mother Earth live in concert a long time ago I was definitely excited to see them perform again. Admittedly I have not followed Finger Eleven but even so, they put on an amazing show. Even though Thunder Bay is considered a 'small city' compared to the likes of Toronto and Winnipeg, it never ceases to amaze me how many great events there are throughout the year, and moreover, all the fantastic artistic talent this city has to offer. Case in point, Defsup's Urban Infill: Art in the Core 12 took place this past weekend, and it was just as diverse and fun as last years, which was the first one I attended. I was lucky enough to photograph most of this years version, along with a lot of other great photographers, who I officially met for the first time. 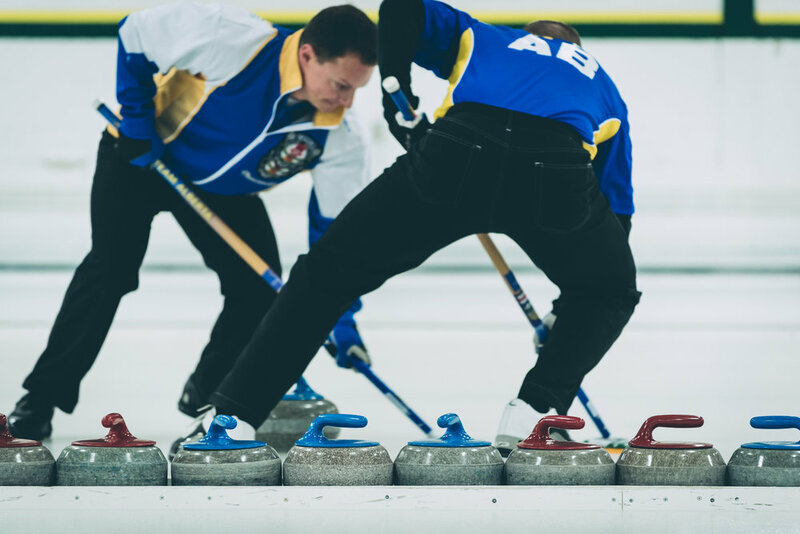 It was approximately 10 years ago that Thunder Bay hosted the Canadian Firefighters Curling Championship. So, when asked if I could cover the event I jumped at the chance because who knows when the next time it will make it's way to Thunder Bay again. Earlier this week, I had the pleasure of photographing an amazing event for ONWA, at the Chelsea Hotel in Toronto. The conference was called 'She is Wise in the Ways of Life'. It focused on ending violence against women and girls. Along with photographing the event I also helped design all a lot of the marketing for it, so I knew everything that was going on. With that being said, I was still anxious to see how it all turned out, and I couldn't have imagined a better event. 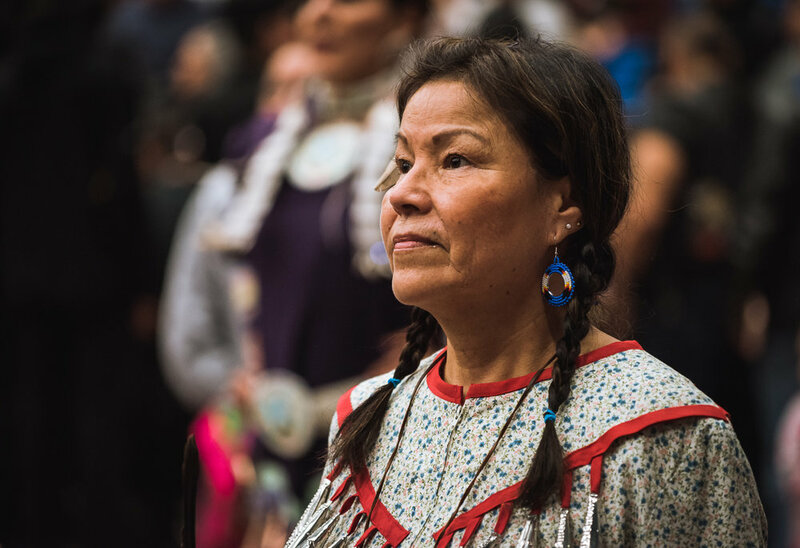 I was recently asked by Ontario Power Generation to cover a very important event at the Gull Bay First Nation this past Tuesday. Kiashke Zaaging Anishinaabek and Ontario Power Generation are working together to develop a microgrid that will use solar, battery storage and grid technology to help reduce diesel use at Gull Bay. It is to be the first fully-integrated solar energy-storage system in a remote community. I got asked to cover some of this weekends LUNSA Powwow and the Lakehead University Fieldhouse. This year marks the 30th Anniversary of the event and I was honoured to photograph it. Surprisingly I had never been to the LUNSA Powwow, but I have photographed other ones throughout the city. So, I was amazed at just how many dancers and people attended. As I photographer, it's a dream event to photograph with all the colours and people and energy. 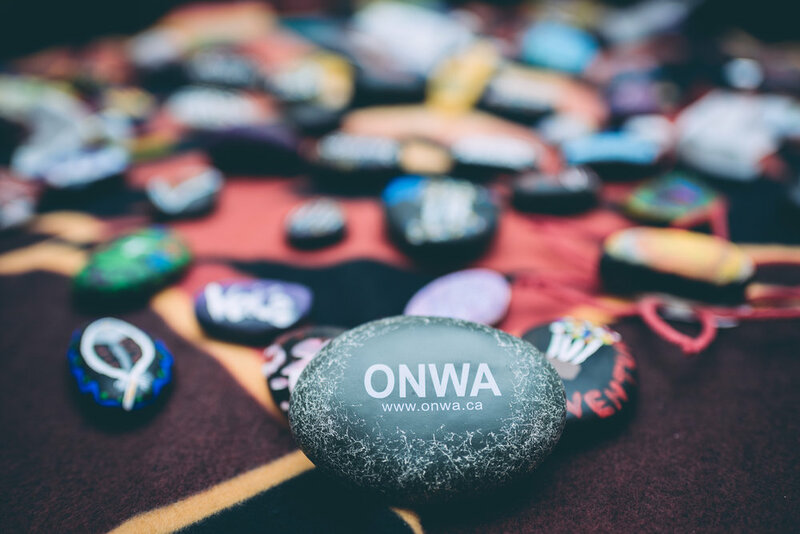 I'm lucky enough to photograph a variety of events for ONWA throughout the year, and pretty much every single one is important in some way. Such was the case with their recent one focusing on human trafficking. My main job was to obviously capture the event but I was also able to learn a lot while I did so. For anyone interested in learning more, please feel free to head on over to ONWA's Facebook page here. I was so excited once I realized I would be able to help photograph Derelicte 10. I had only attended once before, a couple years ago, and I had so much fun then. The thing I like most about Derelicte is that it's just so ... random. There are so many talented designers in this city and it's the one night of the year they get to showcase their amazing work. Not to mention, the musical talent a well, which is just as diverse. This past Thursday saw St. Benard School host an kindergarten information session. It was a last minute booking for me, but luckily I was able to accept it. I didn't know much going in but once I got there, I soon realized there was going to be approximately 400 people there. My job for the next hour was to simply capture candids of the attendees, the booths and the speakers. It was right up my alley and my favourite type of photography. I recently posted my favourite wedding photos of 2017 which was a great way for me to look back and really see what I captured, and also what I can improve upon. Then it dawned on me that I covered a lot of events throughout the year too. So it was a no brainer to select a few of my top photos from the numerous events I covered.